I made these a couple of different times, and, hands down, the way to make them is by cutting the ingredients together in a bowl. The first time I made them, I pulsed everything in the food processor, and the dough became tough from being over mixed. Want another tip to awesome biscuits? Throw your butter in the freezer for 15 minutes before you dice it. Cutting chilled butter into the flour gives the dough the teeny tiny bits of butter that translate into perfectly flaky biscuits. Stop cutting the butter into the dough while you still can still see butter; you’ll be much happier when you pull them out of the oven. Stir in the pumpkin, chives and a little cream, and you are on your way to comfort food heaven with an unexpected flavor combination. Hello, chilly nights! Maybe it’s not so bad to have you here if it means I can eat food like this….but I can still wait for a little while to see the white stuff. 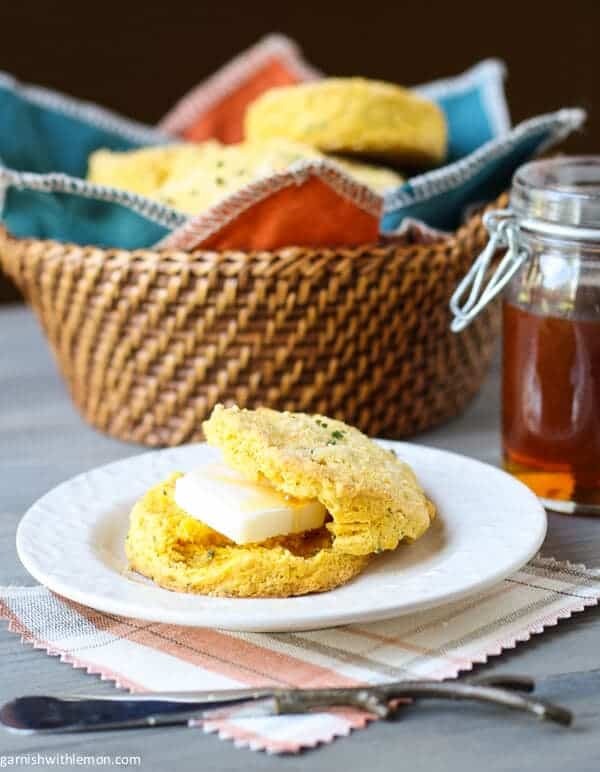 2 tablespoons melted butter for brushing on top of biscuits. In a large bowl, put flour, baking powder, sugar and salt and whisk together. Add the diced butter and cut into flour mixture until it resembles coarse crumbs. In a small bowl, mix pumpkin, cream and chives, and stir together until mixed well. Fold pumpkin mixture into flour mixture and stir until just mixed. Do not over mix or biscuits will be dry. Roll out dough on a floured surface into a large rectangle about 3/4 of an inch thick. Using a 2-inch biscuit cutter, cut biscuits and place on parchment paper. 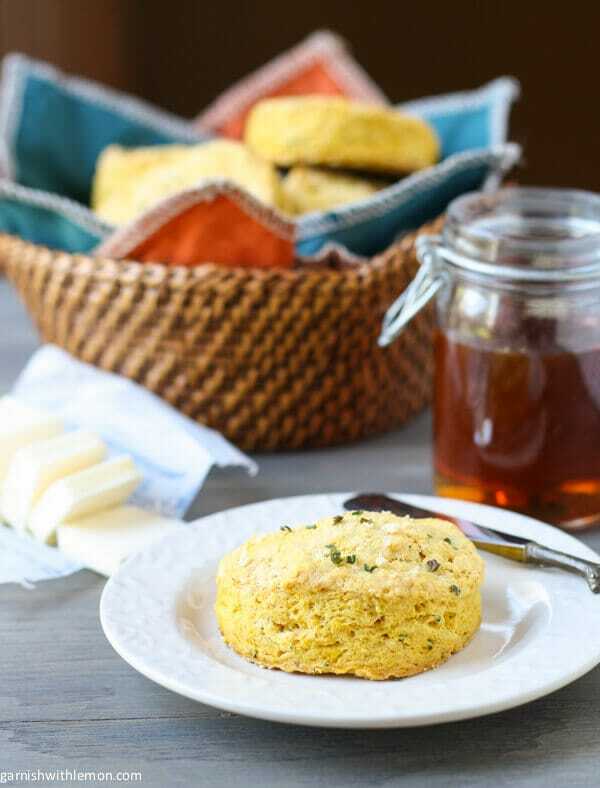 Brush tops of biscuits with melted butter and sprinkle with Parmesan cheese. Bake for 12-15 minutes or until lightly brown. SNOW?? Noooooooooo! I’m not ready. I’m not either, but warm biscuits make everything better, don’t they? I could eat these every night with dinner!!! They sound scrumptious! !